Anyone, at any time can submit a general cover IF you have Becky on the cover in some form or another. Please read more on contributing Becky art, before submitting. 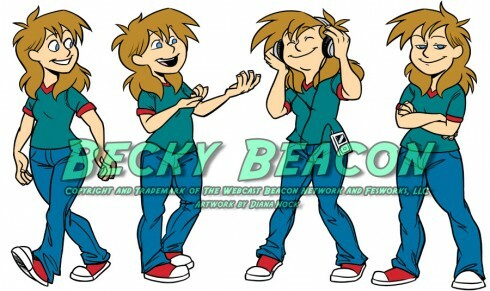 Becky Beacon is ™ and © of The Webcast Beacon Network and Fesworks, LLC. All art is © to those that drew them.